Anxious about China's growing influence in the oceans surrounding India, India will meet Bangladesh for the first maritime dialogue between the two nations in an effort to monitor the Bay of Bengal, reports The Telegraph. Bangladesh foreign secretary Shahidul Haque said that the talks will be held in the first week of March. 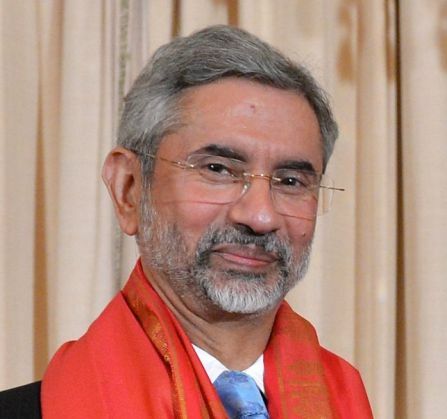 Haque had previously met foreign secretary S Jaishankar and national security adviser Ajit Doval the following day. "Maritime cooperation is an important new area for us to jointly focus on," Haque said. "The initial response and views we have heard from our Indian colleagues are very positive." The two countries had signed a memorandum of understanding on the issue of maritime cooperation last year, when Prime Minister Narendra Modi visited Dhaka in May. Bangladesh needs India's help to tap mineral resources in the Bay of Bengal. "India has very advanced technology in the exploration, exploitation and preservation of maritime resources, and we want to learn through this cooperation," Haque said. Resources in the Bay of Bengal are important to India as well, and the hope is that Bangladesh will give Indian companies the edge if it allows foreign companies to explore its maritime waters, rather than turn to China. However, security is also an issue, given that China is now present almost everywhere in India's maritime neighbourhood. India signed a maritime cooperation pact with Sri Lanka and the Maldives in 2013, and has now included the Seychelles in the agreement as well. Now OBC quotas in the private sector?